BEAUFORT, Francis, F.R.S. Karamania or a brief description of the South coast of Asia Minor and the remains of Antiquity, with plans, views, &c. collected during a survey of that coast, under the orders of the lords commissioners of the admiralty, in the years 1811 & 1812, London, R. Hunter, 1817. BEAUFORT, Francis. 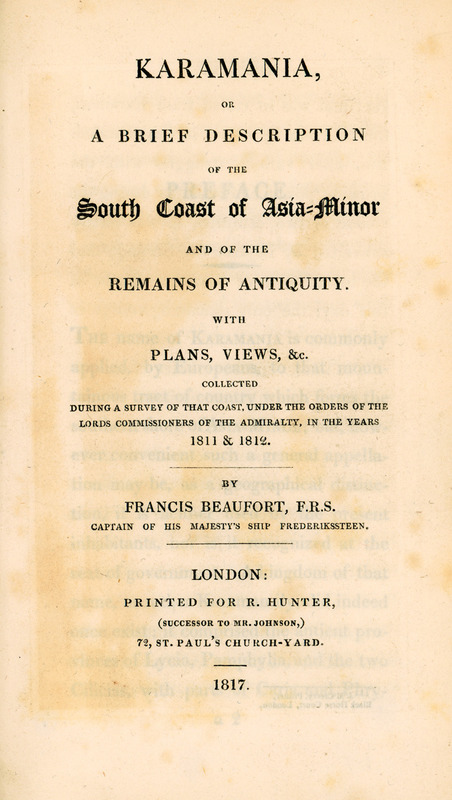 Karamania, or a brief Description of the South Coast of Asia Minor and of the Remains of Antiquity …, in the Years 1811 & 1812…, London, R. Hunter, 1817.